While racing may be their specialty, the North American Thoroughbred Society is recognizing Thoroughbreds competing off the track. 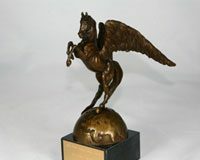 The mission statement of the NATS is to support the North American Thoroughbred as a performance horse, and now the New Jersey-based organization is promoting a new “North American Award Series” for Thoroughbreds competing in the show-ring. 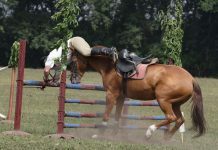 The program is based on horses earning points in a given discipline during a single competition year. According to the NATS, points may be earned in Canada, Puerto Rico, and the United States. Award points are earned when eligible horses compete in open classes (open to all breeds) that are organized by FEI, USDF, USEA, USEF, CADORA, Equine Canada, or the Federacion Ecuestre De Puerto Rico.